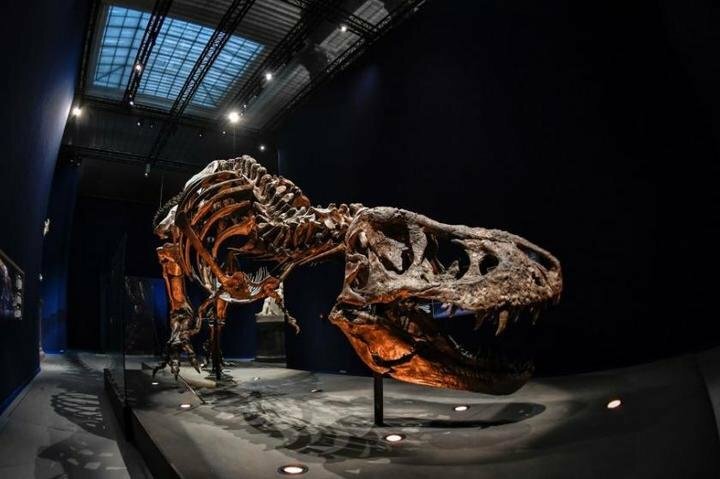 The supposedly only fossil of a baby Tyrannosaurus Rex is said to change hands by almost three million dollars. Paleontologists are outraged. Anyone interested in dinosaurs can save their way to the museum. A look at eBay is enough. For 2.95 million dollars (2.6 million euros) probably the only fossil of a baby Tyrannosaurus Rex for sale. “It’s a RARE opportunity to ever see a baby REX,” the ad says, causing outrage among scientists. The 68-million-year-old skeleton was discovered in Montana in 2013 and has since been the property of its finder, Alan Detrich. In 2017 he awarded the fossil to the Natural History Museum of the University of Kansas. It remained there until Dentrich had decided to sell the dinosaur completely unexpectedly. The Society of Vertebrate Palaeontology criticized both Detrich and the Museum for creating a significant find out of the reach of science. The fossil should have been examined first before it could have been issued, it is said. So the museum helped to raise the price for the baby T-Rex. An analysis of the skeleton could clarify whether small Tyrannosaurier from North America was the only boy or whether a separate kind of the Nanotyrannosaurier must be introduced. Still, Detrich has not found anyone ready to pay the required $ 2.95 million. There is no lack of interest. Nearly 500 people have the baby TRex on eBay under surveillance.